The Community Engagement Core (CEC) of the Border Biomedical Research Center (BBRC) will create partnerships among researchers and community organizations to disseminate and translate findings emanating from the research projects of the Center. The goal of the CEC is to build a sustainable infrastructure that fosters investigative collaboration and translation of project findings throughout the scientific community and the Paso del Norte border region. Aim 1: Create community engagement that fosters integrative research involving BBRC investigators, clinicians, and the public. Community partners will be identified that represent a broad range of entities. Aim 3: Partner with the RCMI RTRN to expand and enhance a sustainable research infrastructure within the BBRC and other RCMIs. 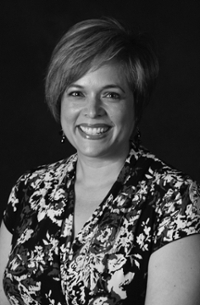 Bibiana M. Mancera, MEd, PhD, is the Co-Director of Community Engagement for the BBRC. She earned her Master in Education and her PhD in Interdisciplinary Health Sciences from the University of Texas at El Paso. Dr. Mancera brings prior project management experience from the Hispanic Health Disparities Research Center (HHDRC), a National Institutes of Health funded P20 Center of Excellence. During her tenure at the HHDRC, Dr. Mancera was involved in community engagement activities, the dissemination of research findings via print and social media, and health education. Her research interest includes: health disparities, community engagement with vulnerable populations, behavioral and cultural factors that influence health, intimate partner violence among Mexican American men and women, and HIV/Aids and sexually transmitted infections. Dr. Mancera has conducted research among Mexican origin men and women as well as health education within this population. She was recently involved with Shift+, an advocacy project and coalition to reduce underage drinking in El Paso, Texas. Dr. Mancera is a native El Pasoan, with close ties to the community. Kristina D. Mena, MSPH, PhD is the Interim Regional Campus Dean, an Associate Professor, and Program Head of Environmental and Occupational Health Sciences in the Division of Epidemiology, Human Genetics, and Environmental Sciences at the University of Texas Health Sciences Center at Houston School of Public Health (UTHSCH SPH). She earned an MSPH from the University of South Florida and a Ph.D. in environmental microbiology at The University of Arizona, and completed a Post-Doctoral Fellowship in the Food Animal Health and Management Center at Kansas State University. Dr. Mena's research areas include water quality, food safety, and human health risk assessment. Her research integrates risk assessment and epidemiological approaches to address health outcomes associated with exposure to compromised food and water. In addition, she assesses the influence of risk perception on behavior within communities facing food/water quality challenges to better develop risk reduction strategies. She recently conducted a risk assessment to inform best protection practices for Olympic athletes competing in water competitions at the 2016 Summer Olympics in Rio. Dr. Mena is a member of the USEPA Chartered Science Advisory Board, the El Paso Public Service Board, and the Borderplex Alliance.